Ryan Thomas has said he's yet to receive the apology letter that Roxanne Pallett has reportedly written him. It was claimed over the weekend that former Emmerdale star Roxanne, 35, handed Celebrity Big Brother staff a letter for Ryan, 34, to apologise for accusing him of punching her during what appeared to be a play fight in the house. 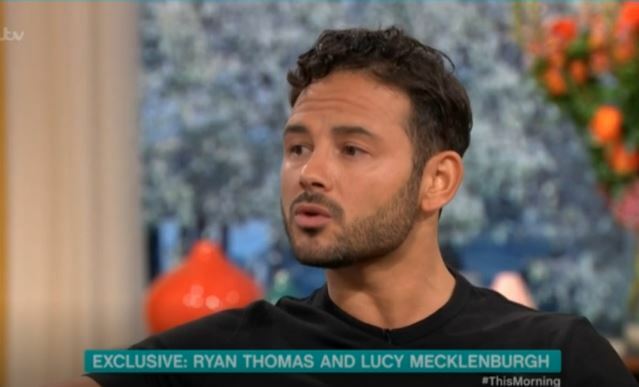 Appearing on ITV's This Morning on Tuesday alongside girlfriend Lucy Mecklenburgh, ex-Coronation Street star Ryan confirmed he'd heard the rumour about a letter but was yet to receive it. Phillip Schofield said: "She has apparently written a letter of apology but that letter of apology, rather oddly, is still with the Celebrity Big Brother team so I think maybe they are waiting to send it on to you?" Ryan answered: "Yes, I've heard this. I haven't received one." Phillip then said: "I would have thought they'd have rattled that through quite quickly, but hopefully that's something you'll get. You've been terribly gracious. She knows she's made a mistake and discussed that." I know that Roxanne will be having a lot of of backlash for this. Why do I want to sort of fuel that situation and be responsible for it? He also said Celebrity Big Brother had declined to comment. 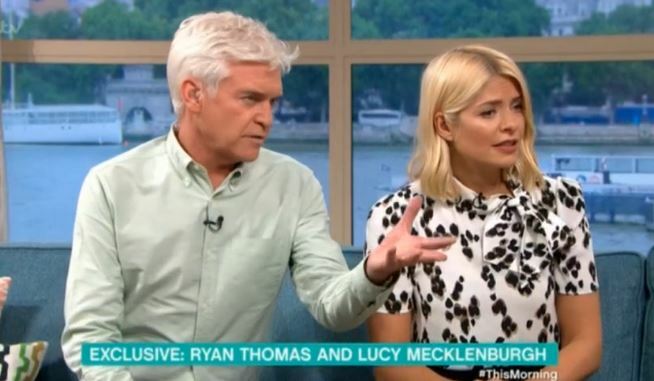 Ryan told Phillip and Holly Willoughby that despite the upset he went through in the Big Brother house, he refuses to say anything about Roxanne that could "fuel" the backlash towards her any further. Ryan did, however, address the 'punch' incident, admitting he was initially oblivious to there actually being any problem. He said even getting a warning from Big Brother after his play fight with Roxanne didn't bother him, as he figured it was just a "technicality" and something the show had to do. When Roxanne slept in another bedroom, he thought it was because she'd had a row with Ben Jardine. Ryan said it was only when housemate Ben took him to one side and explained Roxanne's allegation that he understood how serious it was. That was when he went to the diary room and broke down in tears, saying he feared the police were going to call him. "I questioned myself, 'did I hurt this woman?' It was so nothing to me but maybe I caught her with my ring on her arm? I was questioning what happened because everyone was making such a thing out of it. But this is a place with cameras everywhere..."
Ryan's girlfriend Lucy said she feels Big Brother should have withdrawn Ryan's warning or shown him the footage of what happened. Ryan, however, said he understood why the show chose not to. "Big Brother have to make the show as organic as possible," he said. "If I had done something wrong I wouldn't still be on the show so common sense came into it and I had to trust Big Brother. I feel as if they wanted the public to make the right decision and they did, by backing what they knew was right." Ryan was eventually named winner of Big Brother. He told Emma Willis in his winner's interview that he "appreciated" Roxanne's two television apologies. Do you think Ryan was a worthy winner of CBB? Leave us a comment on our Facebook page @EntertainmentDailyFix and let us know what you think!